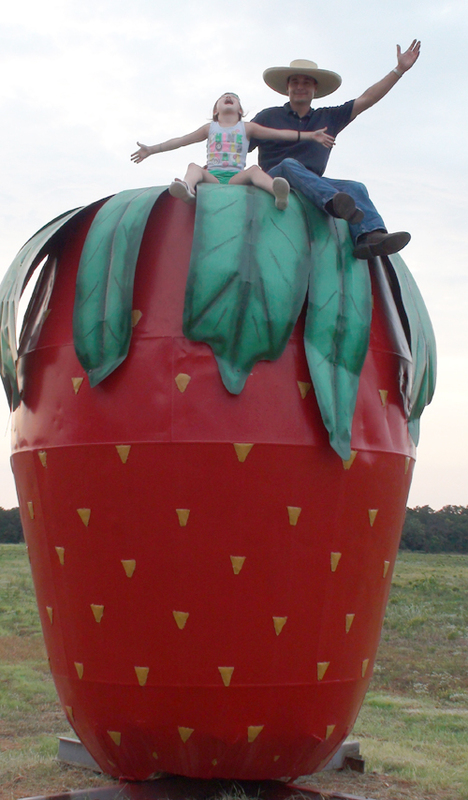 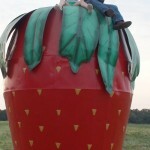 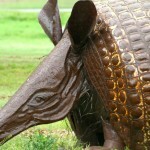 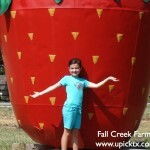 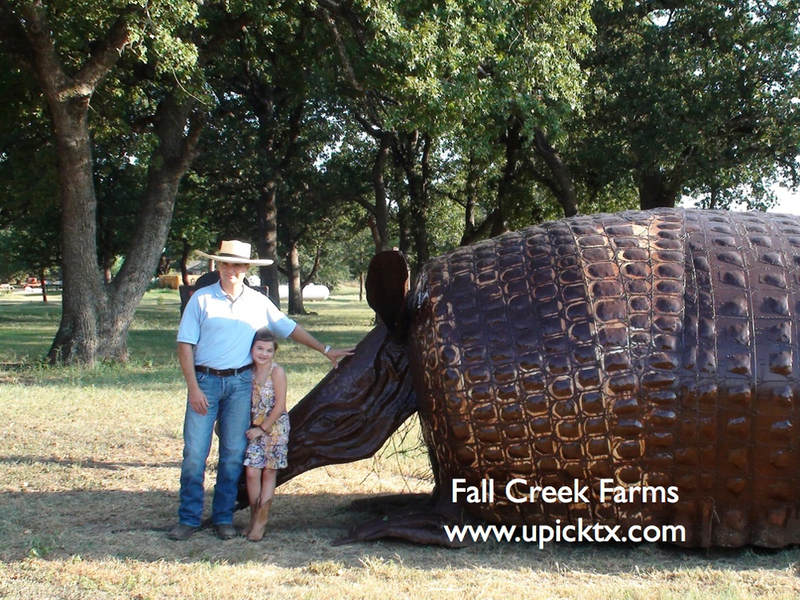 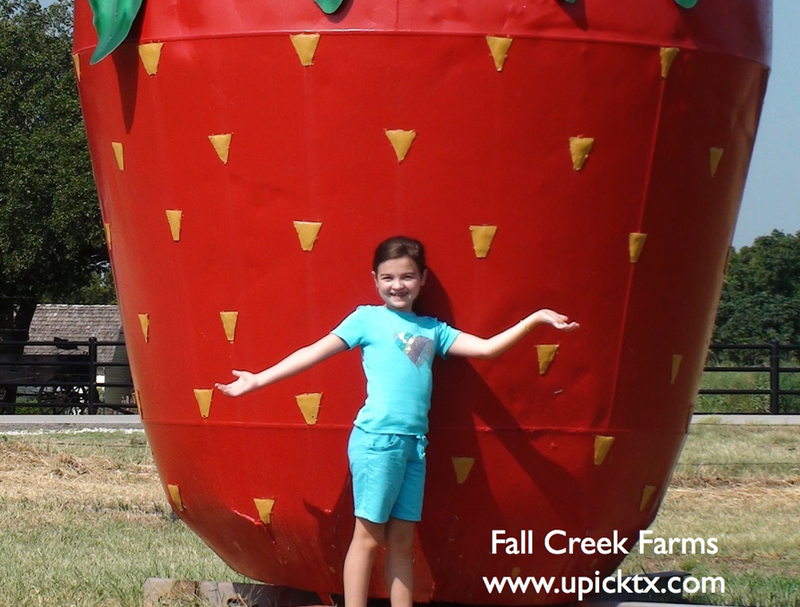 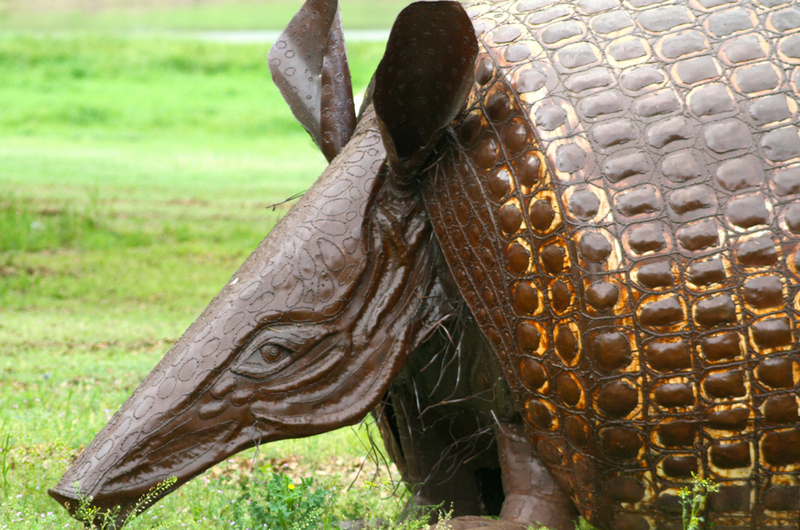 Come out to Fall Creek Farms during strawberry and peach season for your only chanced to see “Killer” The World’s Largest Armadillo up close and personal. 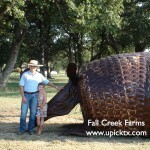 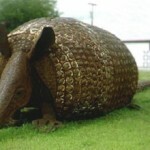 A lot of our guests to our farm see Killer and say “where have I seen that before?” They recognize the world’s largest armadillo because Killer was once a star at Six Flags Over Texas. 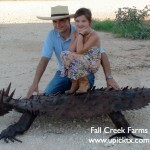 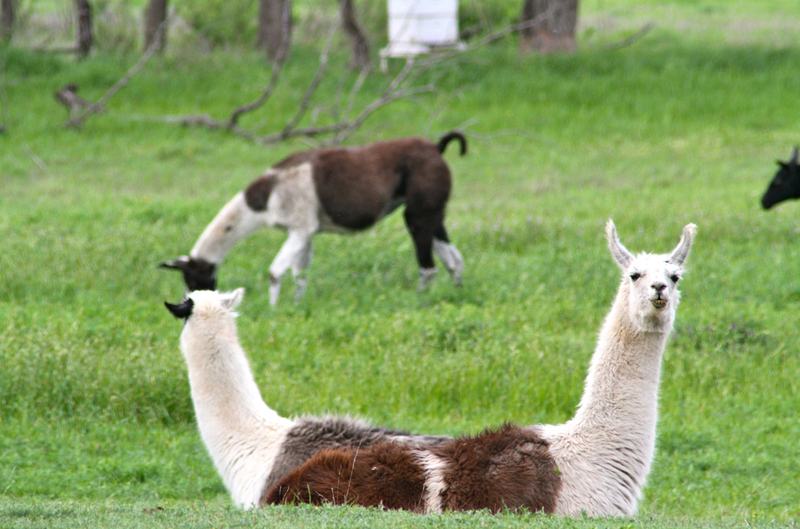 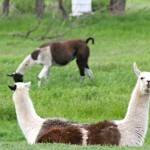 More than a million people saw Killer when it was the centerpiece Six Flags’ Best of Texas exhibit in 2002.Killer is now enjoying a more “laid back” life at Fall Creek Farms. 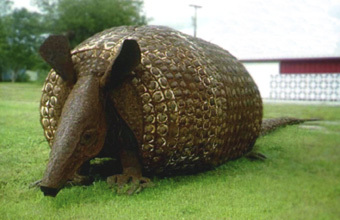 At 48 feet long and weighing 4 1/2 tons, Killer is registered with the Guiness Book Of World’s Records as the world’s largest armadillo. 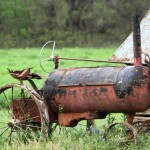 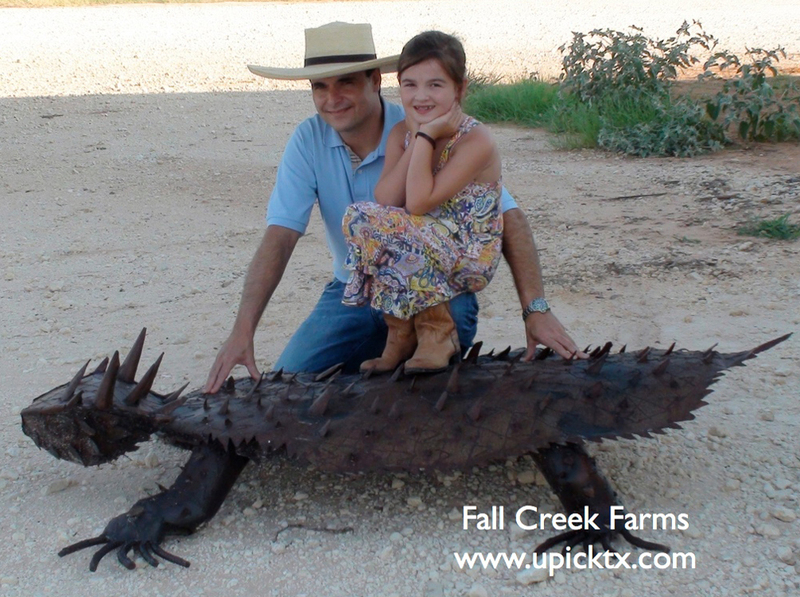 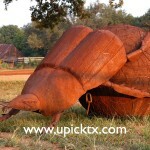 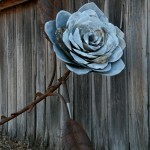 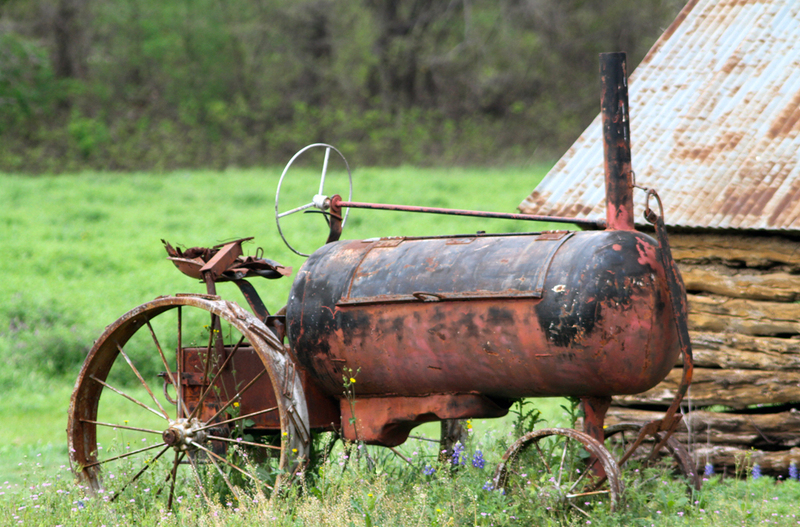 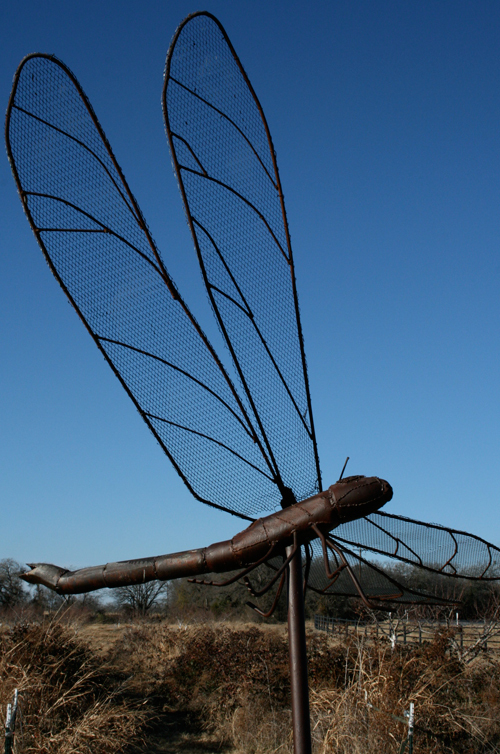 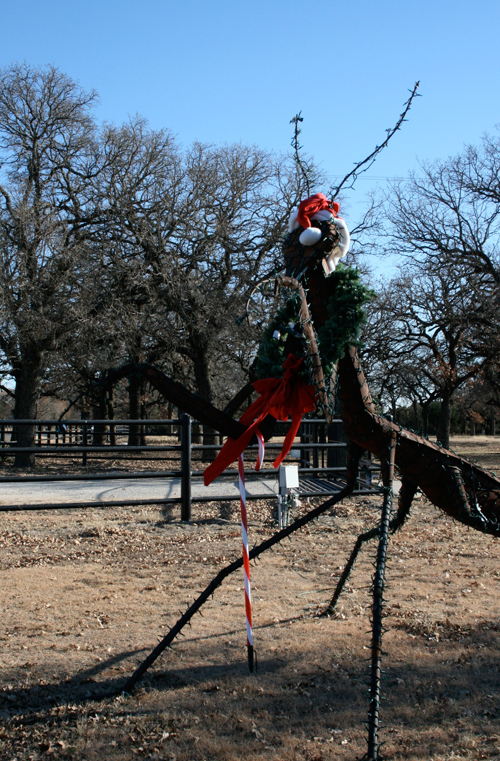 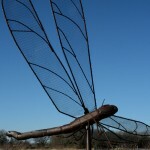 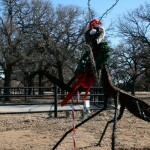 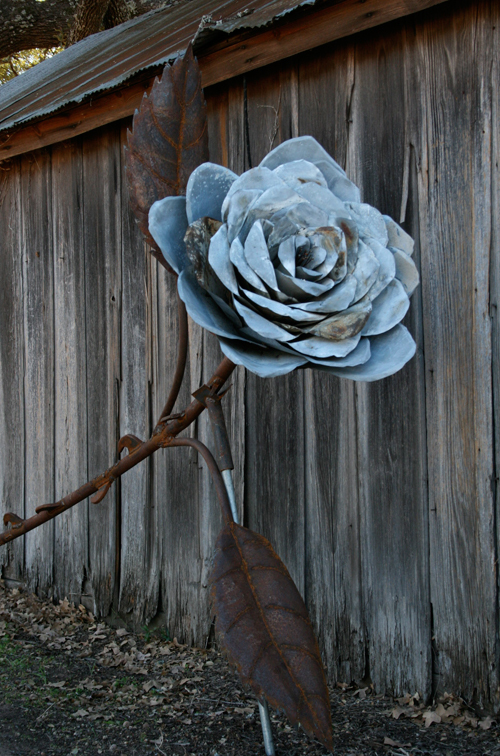 Killer is the creation of famous Texas welding artist Marc Rankin of Strawn. 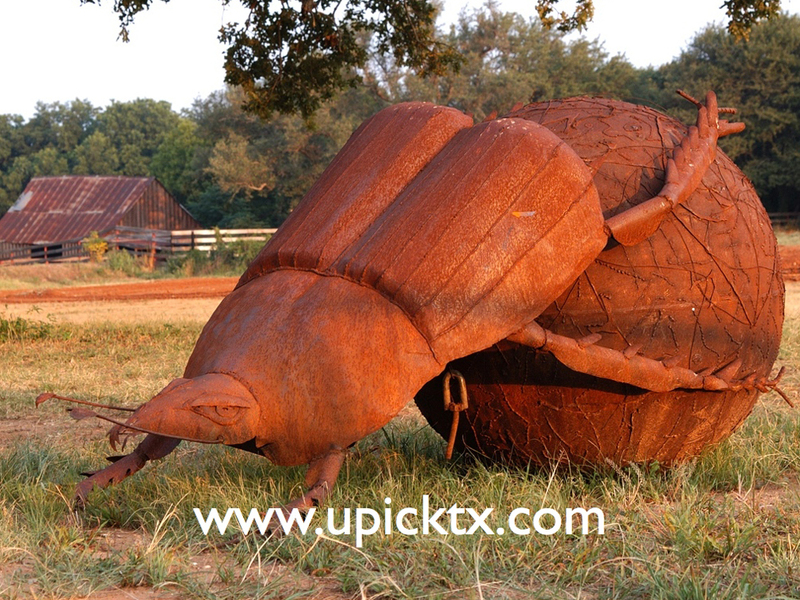 Rankin’s large and unusual creations are well known landmarks around the Lone Star State and Killer is one of his most recognizable works.